For the thrill seekers amongst us! Our Fire Super Hot Potato Grills are latticed to catch flavour and give an extra crunch. With all natural ingredients, this is a taste explosion waiting to happen! 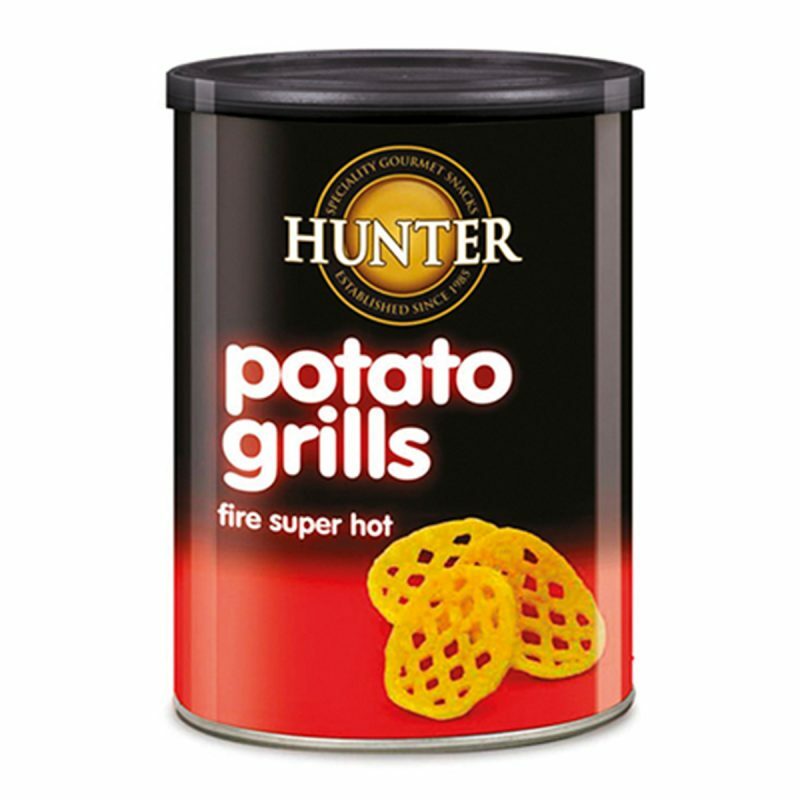 Hunter Potato Grills – Fire super Hot (100gm) 100gm Canisters. Potato Chips, Non GMO, No Preservatives, No Artificial Flavours, No Artificial Colours, No Transfat, No Cholesterol, Halal. Potato granules, rice flour, vegetable palm olein oil, modified starch, hydrolyzed vegetable protein, turmeric, yeast extract, fire super hot flavour: (wheat flour, rusk, defatted soya flour, whey powder, sugar, salt, vegetable powder, herbs & spices, natural flavouring (paprika, oleoresin, onion extract, green pepper extract and basil extract), flavour enhancer (E621), acidity regulator (E262) , natural colour (E160c), anticaking agent (E551). Fire super hot they are! Cannot believe how I missed out on them!